A graphical summary of the findings can be found here. The Index found more than half of small business owners strongly dissatisfied with the action of the U.S. Congress in the past quarter. Tax relief and simplification, health care reform and the replacement of the Affordable Care Act, and regulation reduction are the top three actions that would enhance their trust and directly support business growth. This agenda has remained the clear mandate for change by small business owners for five quarters in a row. Despite a lack of satisfaction in Congressional action last quarter to implement regulations that will help small business, more than half of small business owners expect higher revenues this year and plan to invest back into their businesses. Small business remains bullish on their own business results for 2017, with 63 percent expecting an increase in revenues and 61 percent planning to invest in capital expansion. Small business owners are overwhelmingly supportive of the Republican and White House proposed tax reforms and list limiting the minimum tax rate to 25 percent for small and family-owned businesses as one of the top reforms that would help their small business. The Index also found small business owners support the repeal of regulations that create restrictions on employment and operations, and are hungry for legislation and policies that help oil and gas and international trade thrive. When asked what singular action Congress could take to improve small business owner satisfaction, owners said Congress should: support the President, work together (bipartisan unity and compromise), repeal the Affordable Care Act, work for the people (not lobbyists and special interest groups), and accomplish what they promised. Eighty percent of small business owners continue to trust the President far more than Congress, which only 12 percent of small business owners trusted in Q3 2017. 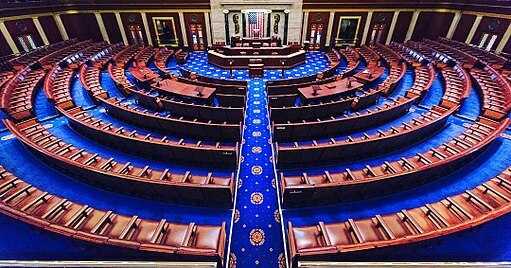 Although overall trust is down, 58 percent of small business owners believe their individual elected members of Congress know their opinions on key issues and 36 percent believe their own elected Congressional representatives act on the behalf of small business. “Without the collective voices of the people, Congress will not act. It is important now more than ever to make your opinions known to Congress. We continue to encourage our members to use their voice to tell Congress their opinions and concerns,” said Ford. NWYC’s Index on the Sentiment of Small Business Owners towards Congress is based on data collected using an online survey administered October 17-20, 2017. Email notification was distributed to a sample of over 23,000 individuals drawn from membership files of NWYC. A total of 867 respondents participated. Respondents represent 45 of the 50 states in the U.S., and 65% are aged 45-64. Their businesses are small, with 57% employing 1-9 employees and 37% with 10-99 employees. The predominant industries represented are construction, services, manufacturing, retail trade, and finance. To view the full report, visit www.nwyc.com. National Write Your Congressman (NWYC) is an organization that gives small businesses a voice in American government. As the nation’s largest, privately held, nonpartisan membership organization made up of small businesses, NWYC is dedicated to the delivery of constituent opinions to representatives in Washington. For 60 years, NWYC has provided small business owners and operators the tools necessary to connect with members of Congress and a platform to let their collective voice be heard. NWYC’s team of experts provides unbiased, nonpartisan information and research on top issues and pending legislation relevant to small business owners today. NWYC presents both sides of the issue so that members can form an educated opinion and let their opinions be heard. For more information, visit: www.nwyc.com.